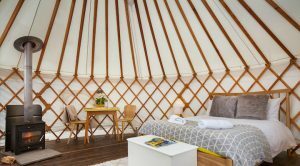 Muddy says: Nestled at the foot of a medieval castle site, with four spacious luxury yurts and a stunning tree house surrounded by beautiful countryside and abundant wildlife, The Yurt Retreat is Adult Glamping at its finest. 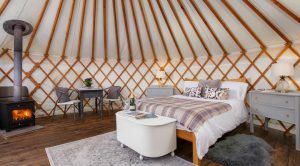 Nestled at the foot of a medieval castle site, with four spacious luxury yurts and a stunning tree house surrounded by beautiful countryside and abundant wildlife, The Yurt Retreat is Adult Glamping at its finest. 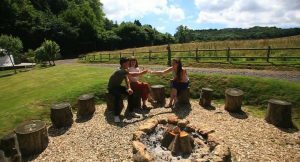 Buzzards circle overhead, shy deer graze in the mornings, pheasants and badgers wander out of the woods: it’s a magical place to truly unwind and get away from the stresses of working life. 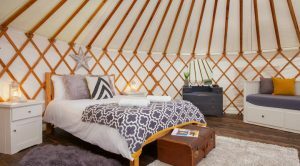 Each luxury yurt is individually styled from rich vintage to fresh Skandi, and has a wood burner, tea and coffee facilities and personal bathroom. 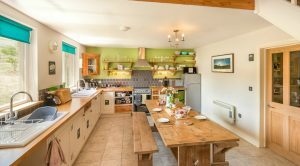 Cook on your own BBQ or in the fully equipped kitchen in the communal Lodge, which also has a lounge with giant beanbags and DVDs – or sit around the fire pit and watch the stars. 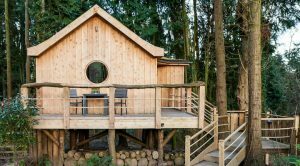 The Birdhouse is our stilted, self-contained tree house set in woodland behind the yurts, with a vaulted ceiling, contemporary furniture and a bespoke kitchen: your own personal sanctuary. 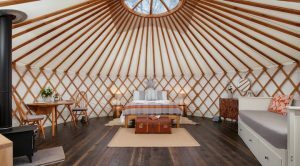 The Yurt Retreat is also available for weddings. 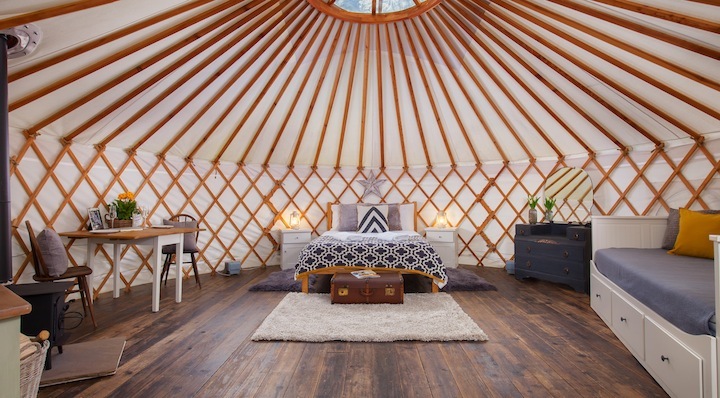 We only offer a limited number a year to keep the experience magical. 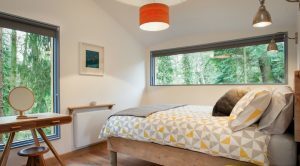 We’re in beautiful south Somerset, a stone’s throw away from the Dorset and Devon Jurassic coast and with an award-winning gastropub within walking distance. 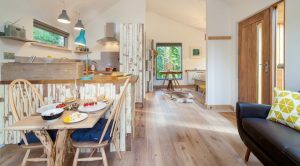 There are direct trains to Exeter and London Waterloo from the local station two miles away.